Stuff happens, we can help! Expressway Trucks has a state of the art body shop that can handle your everyday body and paint repair needs. Call 1-800-558-7364 to arrange an estimate. We will work with your insurance company to get you back on the road quickly. We understand that time is money and uptime is important to you. In order to decrease downtime, we have these loaners ready to be installed on your truck so that you can keep going while your parts are being fixed in our body shop. Our Program offers loaner hoods and stainless steel bumpers to customers who have cosmetic hood and/or bumper damage. 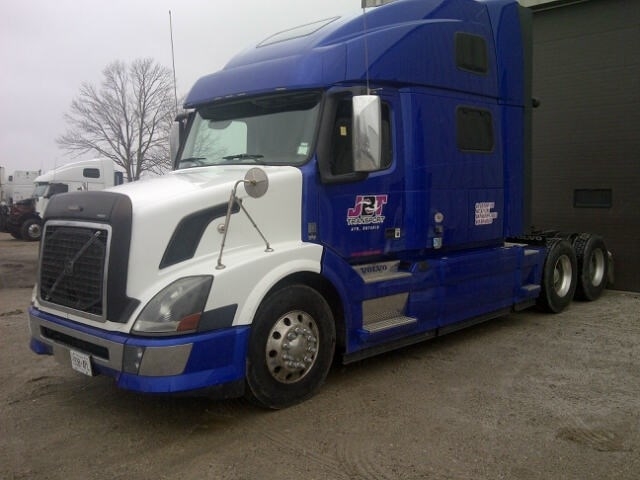 This program is available for Volvo trucks that are 2004 and up. We also offer special deals for insurance jobs. Please contact our Service department at 519-632-9777 or email us at service@expresswaytrucks.com for more information.